So, Finally Moon is in 12th house. 12th house is house of Losses, Expenses, Isolated Places, Foreign Lands, Asylums, Jails, Hospitals, Imagination etc. One thing to always keep in mind with 12th house is that it basically remains the house of losses. So, whichever planet goes in 12th house, even exalted, is in the bucket of losses. Now, to gain out of any such planet, you need to put double effort in things related with that planet. Now, the Moon has reached the final destination, i.e. 12th house. Moon is mind and 12th house is house of Foreign Lands and Isolated Places, so mind of these people find balance when they reach foreign lands or places far away from where they were born. As 12th house is also a house of imagination and Moon represents mind, they are highly imaginative people and become good Authors. They always have great imaginative ideas which they can use in their writing. They like to live a very private life and at secluded places. As Moon also represents Mother, Mother of these people can have exactly same qualities. 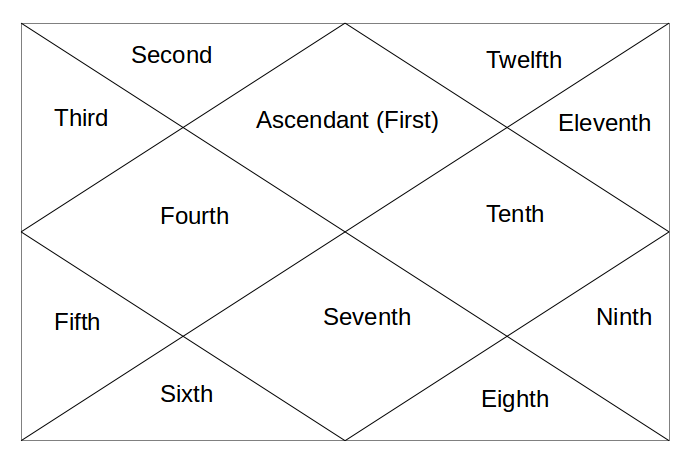 As 12th house is also house of losses and Moon represents Mother, Moon in 12th house shows that relation between Mother and Child suffers, especially in early part of life. They may be unable to understand each other's point of view or she was always away from the person in childhood. As 12th house is house of isolation and Moon is mind, they like to remain at isolated places and stay away from hurdles and obstacles of daily routine life. Its all about me. Congratulations!